Become a Member of FROG™, It's FREE! 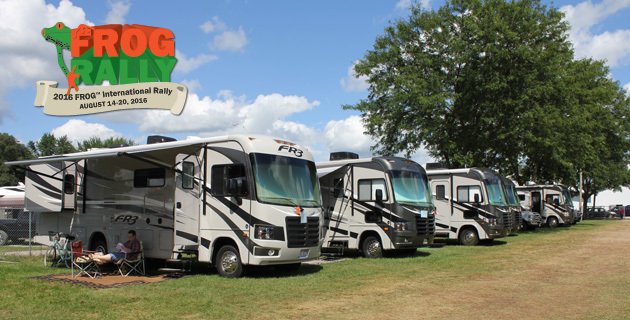 The Forest River Owners' Group, or FROG, is made up of over 95,000 Forest River and affiliated brand RV owners from all across the United States and Canada, dedicated to having fun and enjoying their own RV lifestyle. 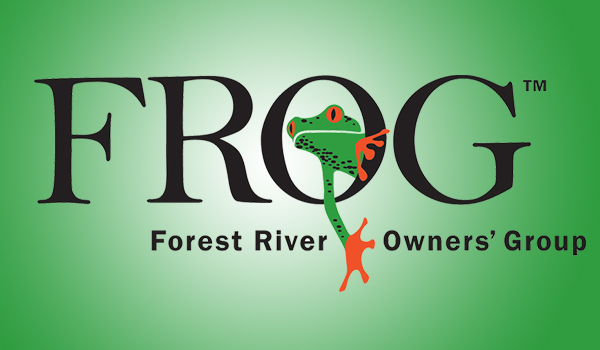 There is just one requirement to join FROG; own a Forest River product. So, what are you waiting for? Sign up and start taking trips with thousands of your closest friends, today! 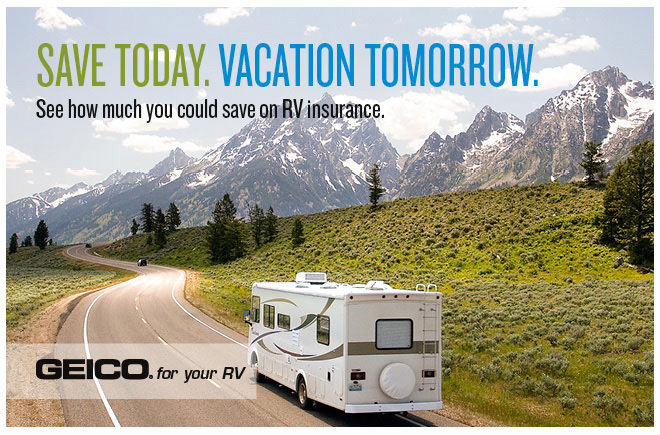 Whether you're an experienced RV enthusiast or new to the lifestyle, we want to do all that we can to help you get the most enjoyment from your Forest River recreational vehicle. Come join in the fun of the longest-running annual FROG Rally. It's a little FROG Rally, actually -- a Tadpole Rally! Gary and Joyce Breeze are once again your hosts at Little Farm on the River, located right on the bank of the mighty Ohio River in Rising Sun, IN. THIS EVENT IS NOW FILLED AND HAS A STANDBY LIST. FROGs will return to beautiful Golden Village Palms RV Resort in Hemet, CA. This is an extended six-night Memorial Day Weekend event, from May 22-28, with a three-night "mini-pack" available for those unable to attend the entire event. You'll enjoy a fun-filled rally with great meals, exciting contests, special prizes, seminars, minor service, and much more! PLEASE DO NOT CONTACT THE CAMPGROUND DIRECTLY TO REGISTER. REGISTRATION IS ONLY AVAILABLE ONLINE SO THAT WE CAN INCLUDE YOU IN MEAL COUNTS AND OTHER ACTIVITIES. 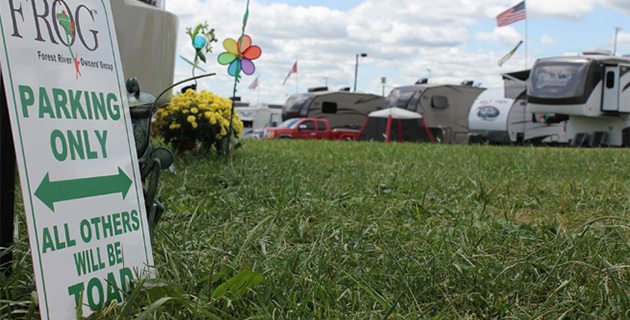 FROGs will gather for a weekend of fun and adventure at award-winning Evergreen Park RV Resort in Mount Eaton, OH. Activities will include a meet & greet, potluck dinner and breakfast, a dinner at the Amish Door Restaurant provided by FROG and Forest River, cooking demo, chip and putt tournament, and more. Note that the resort is located in Mount Eaton, even though its mailing address is in Dresden. Petrolia, Canada's Victorian Oil Town, is so much more besides. Come join FROG as we explore local culture, enjoy great food and theater, cruise a river that joins two Great Lakes, and share in the fun with FROG friends. CLICK THE REGISTRATION BUTTON TO BE ADDED TO THE STANDBY LIST. 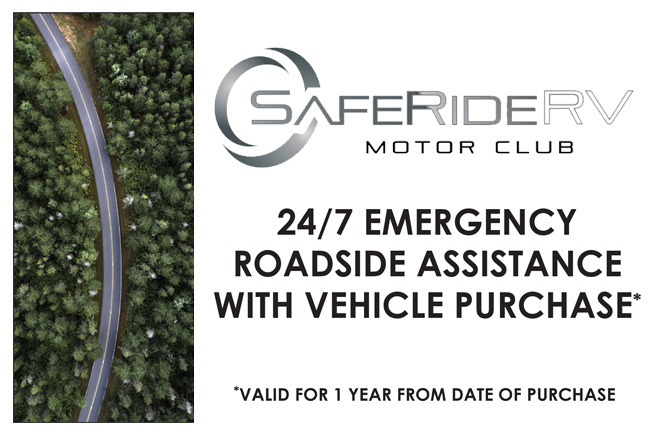 See next page for complete details. Once a year, our members gather together for an international rally featuring new products, informative seminars and local tours. Come spend a week with hundreds of your friends! Member #100,000 Registers with FROG!